The Prairie Aviation Museum strives to have its visitors feel educated, entertained, and inspired while providing a better perspective into the world of aviation. With a collection of preserved aircraft on display, revolving aviation exhibits and memorabilia, 1941 Link Trainer, and a miniature theatre, the museum creates an environment where visitors can learn about the contributions of aviation to our community and nation. 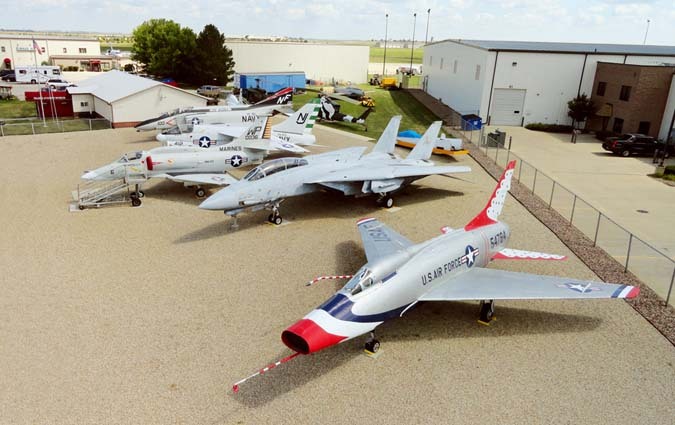 Exhibit highlights include a Bell Sea Cobra, Huey Helicopter, F-14 Tomcat and an A-4 Skyhawk. Come and see what wonders of flight they have to share at the family-friendly Prairie Aviation Museum.